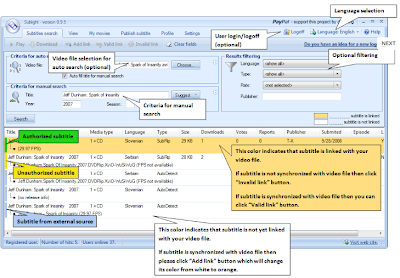 Sublight is a software that enables you to search for movie subtitles and download them to your computer. It can search for subtitles based on several criteria such as movie title, year and more. The results are presented in list from where you can preview and download the title you want. Other features include playback integration with several popular media players, publishing of subtitles and optional Windows Explorer integration.